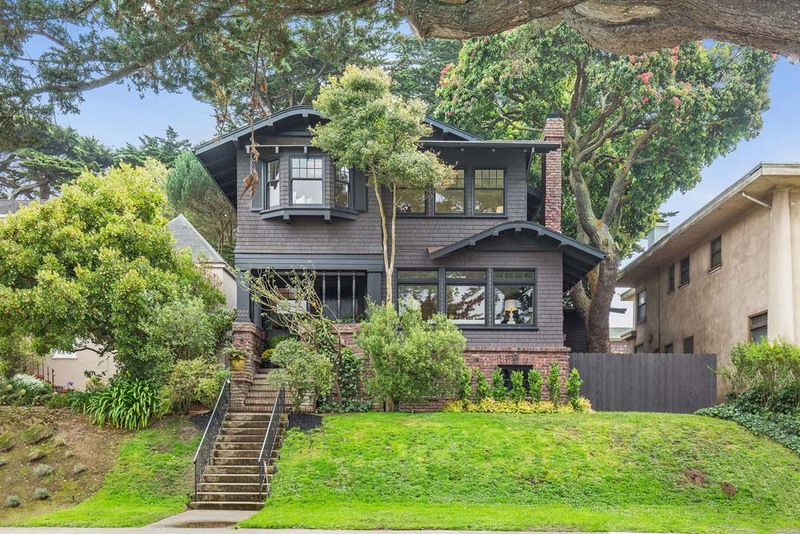 Built in 1912, this enchanting Craftsman home charms us with period details – gables, eaves, a bay window, decorative wood details, authentic brick, wood shingles, hardwood floors and divided light windows that illuminate this intimate home with natural light. Designed by Joseph A. Leonard, the designer and developer of Ingleside Terrace and other prestigious neighborhoods, 222 Moncada sits gracefully amongst its neighbors on the prettiest and most desirable, tree-lined block in this lovely neighborhood. On the main floor are the comfortable, welcoming public spaces that exude a warm and casual ambiance. The open living-dining room features a handsome, stone fireplace that invites you to build a roaring fire and curl up with a good book. The expansive family room is where you will enjoy streaming movies and playing games with friends and family. An attractively remodeled full bath is an added benefit. The chef’s kitchen was superbly remodeled with keen attention paid to the character of the home. You will enjoy cooking for family and friends on the six–burner Wolf range. The kitchen offers a cozy eat-in area and French doors that open onto a deck and backyard –– a perfect spot for al fresco dining and barbeques. A striking staircase leads upstairs where three bedrooms and two full baths comprise the private, upper level of the home. Hardwood floors and six-over-one double hung windows reflect the fine craftsmanship of the last century. The baths, remodeled with an eye to the past but offering today’s comforts, feature white marble and alluring fixtures. Retreat into the master suite, a lovely room with its own private deck, spa-like bath with soaking tub and separate shower, and walk-in closet with the laundry conveniently placed right where you need it. The spacious backyard transports you to a world far away from the bustle and crowds of the City. This oasis offers a lawn for games (tag or croquet anyone? ), a second deck with a hot tub for relaxing under the stars, a tire swing for play, and towering trees whose canopies provide tranquility and privacy. 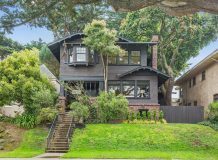 This serene neighborhood of winding streets lined with large, landscaped lots and fine examples of Tudor, Arts and Crafts and Mediterranean-styled architecture, is located south of St. Francis Wood and Balboa Terrace. Residents enjoy fast and easy access to freeways heading south, shops and services along Ocean Avenue and at Stonestown Galleria, and close proximity to schools including Lowell, Lick-Wilmerding, Mercy High School, San Francisco State and City Colllege.